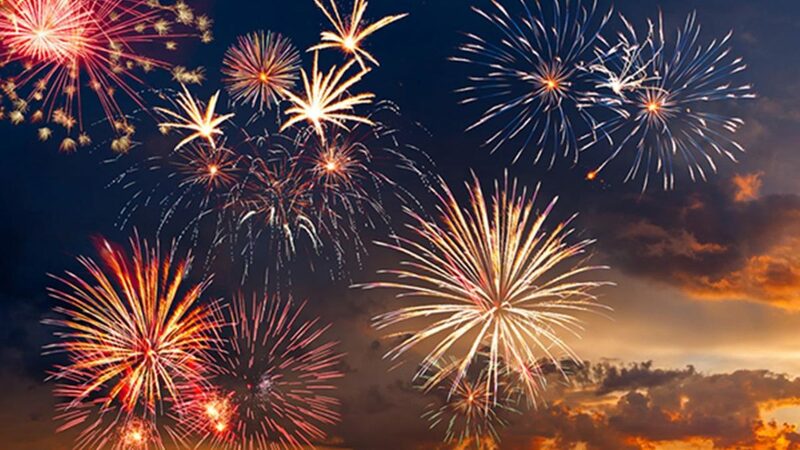 The Fourth of July—also known as Independence Day or July 4th—has been a federal holiday in the United States since 1941, but the tradition of Independence Day celebrations goes back to the 18th century and the American Revolution. On July 2nd, 1776, the Continental Congress voted in favor of independence, and two days later delegates from the 13 colonies adopted the Declaration of Independence, a historic document drafted by Thomas Jefferson. From 1776 to the present day, July 4th has been celebrated as the birth of American independence. The Declaration of Independence is the statement adopted by the Second Continental Congress meeting at Philadelphia, Pennsylvania on July 4, 1776, which announced that the thirteen American colonies, then at war with the Kingdom of Great Britain, regarded themselves as thirteen newly independent sovereign states, and no longer under British rule. Instead they formed a new nation—the United States of America. John Adams was a leader in pushing for independence, which was passed on July 2 with no opposing vote cast. A committee of five had already drafted the formal declaration, to be ready when Congress voted on independence. The term “Declaration of Independence” is not used in the document itself. John Adams persuaded the committee to select Thomas Jefferson to compose the original draft of the document, which Congress would edit to produce the final version. The Declaration was ultimately a formal explanation of why Congress had voted on July 2 to declare independence from Great Britain, more than a year after the outbreak of the American Revolutionary War. The next day, July 3, John Adams wrote to his wife Abigail: “The Second Day of July 1776, will be the most memorable Epocha, in the History of America.” But the national birthday, Independence Day, is celebrated on July 4, the date that the Declaration of Independence was signed. After ratifying the text on July 4, Congress issued the Declaration of Independence in several forms. It was initially published as the printed Dunlap broadside that was widely distributed and read to the public. The source copy used for this printing has been lost, and may have been a copy in Thomas Jefferson’s hand. Jefferson’s original draft, complete with changes made by John Adams and Benjamin Franklin, and Jefferson’s notes of changes made by Congress, are preserved at the Library of Congress. The best known version of the Declaration, a signed copy that is popularly regarded as the official document, is displayed at the National Archives in Washington, D.C. This engrossed copy was ordered by Congress on July 19, and signed primarily on August 2. The Federal Convention convened in the State House (Independence Hall) in Philadelphia on May 14, 1787, to revise the Articles of Confederation. Because the delegations from only two states were at first present, the members adjourned from day to day until a quorum of seven states was obtained on May 25. Through discussion and debate it became clear by mid-June that, rather than amend the existing Articles, the Convention would draft an entirely new frame of government. All through the summer, in closed sessions, the delegates debated, and redrafted the articles of the new Constitution. Among the chief points at issue were how much power to allow the central government, how many representatives in Congress to allow each state, and how these representatives should be elected–directly by the people or by the state legislators. The work of many minds, the Constitution stands as a model of cooperative statesmanship and the art of compromise. Called the “Chief Architect of the Constitution,” he wrote many of the Federalist Papers which helped convince States to ratify the Constitution. He introduced the First Amendment in the first session of Congress. This was James Madison, born MARCH 16, 1751. During the War of 1812, Madison proclaimed two National Days of Prayer, 1812 and 1813. When the British marched on Washington, D.C., citizens evacuated, along with President and Dolly Madison. On August 25, 1814, as the British burned the White House, Capitol and public buildings, dark clouds began to roll in. A tornado sent debris flying, blew off roofs and knocked chimneys over on top of British troops. Two cannons were lifted off the ground and dropped yards away. A British historian wrote: “More British soldiers were killed by this stroke of nature than from all the firearms the American troops had mustered.” British forces fled in confusion and rains extinguished the fires. Madison then proclaimed a National Day of Public Humiliation, Fasting & Prayer to Almighty God on November 16, 1814. Two weeks after the War ended, Madison proclaimed a National Day of Thanksgiving & Devout Acknowledgment to Almighty God, March 4, 1815. And with the Constitution being written, and designed with purposeful Intent, and accurately worded, to protect our rights as free citizens today, all the Great Americans of the time, the signers of this great Constitution , would be appalled by the state of our Government today. Our Forefather, the “Authors” of our fate for the future of this great country would roll over in their graves today upon seeing the State of The Union in the United States of America. Do Something good for your country in the Month of Freedom, the month of the July.